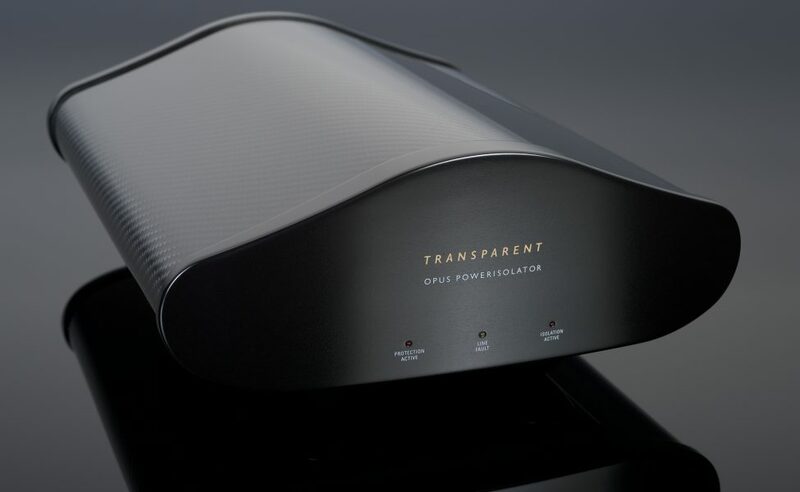 The groundbreaking Transparent Generation 5 Power Conditioning Filter Technology introduced in the new OPUS PowerIsolator snuffs out broadband AC power line noise without restricting current or introducing phase shift. Designed to work in perfect harmony with its included 20-amp IEC OPUS Power Cord, OPI is ready to deliver limitless current and noise-free, in-phase power. Most other power conditioning solutions reduce some AC noise, but they also restrict instantaneous current flow and alter the phase of the power signal — a condition that introduces noise and shifts the tonal balance performance of the system. 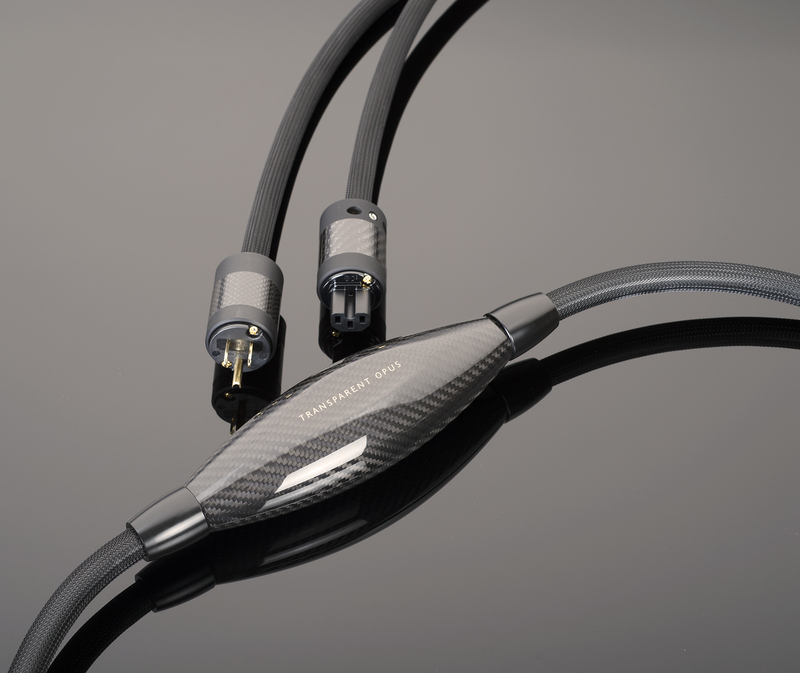 OPI in combination with OPUS Power Cords ensures that your system is free to reveal all the dynamic complexity and energy and the pure and natural instrumental tonality encoded in your favorite music sources. 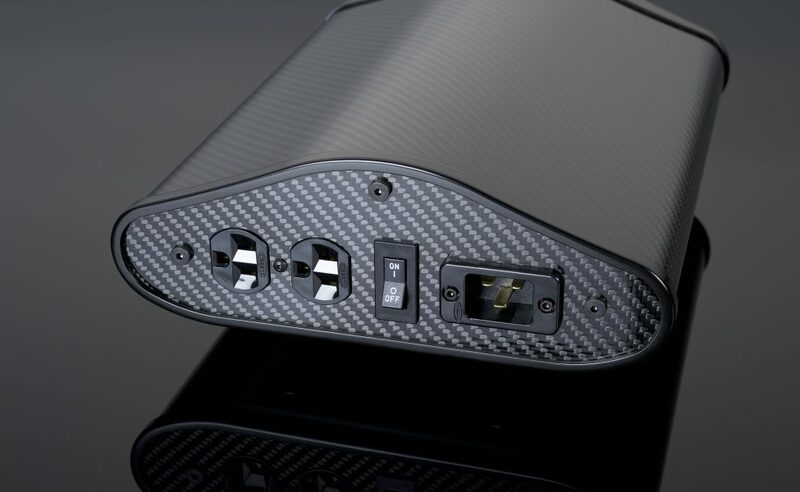 With OPI’s curvaceous carbon fiber form, there can be no mistaking its OPUS lineage. Like OPUS Speaker Cable, OPI’s epoxy-loaded, fully damped carbonfiber carapace blocks vibrations and electromagnetic resonances. The OPI center of gravity is also low and wide which further ensures that any excess energy broadly dissipates away from the filter circuitry. Adjustable for hard or carpeted surfaces, precision machined isolation feet keep OPI stable and decoupled from floor vibrations. Painstakingly constructed with multi-step measurements and circuit adjustments, the OPI filter circuit is also calibrated to the filter characteristics of the included OPUS Power Cord and to the end user’s precise AC voltage and frequency. OPUS Power Cord conductors serve to link the OPI filter circuit from input to output, and the filter characteristics of the OPI conductors are also an important part of the measurement process and filter circuit calibration. 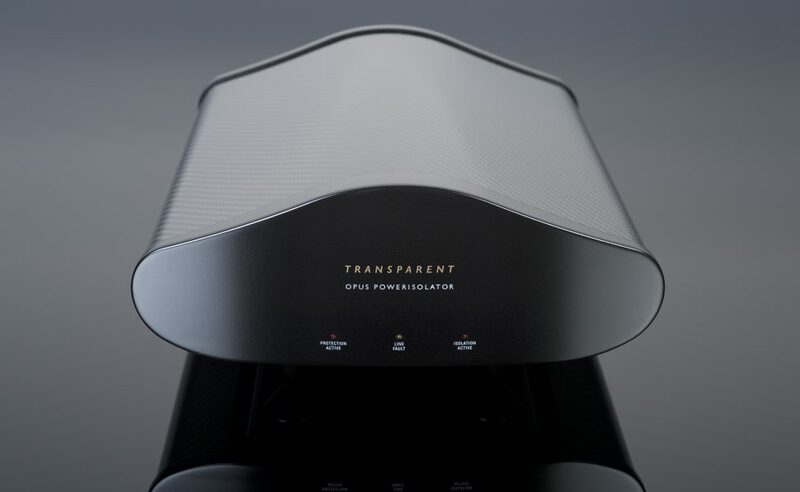 OPI’s parallel noise filtering circuit results in full, free, instantaneous current flow, thereby allowing your system to deliver untethered musical dynamics. Likewise, the parallel hydraulic magnetic circuit breaker provides failsafe circuit protection without limiting current. 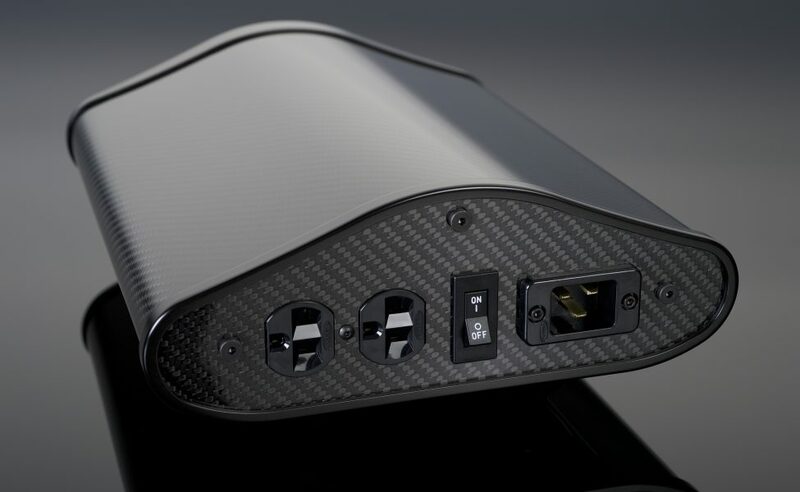 The OPUS PowerIsolator, in combination with the OPUS Power Cord, completes this apex power connectivity solution. Broadband power line noise filtering with ideal power factor correction. Free current flow without restriction. Two identical high-current, grounded, surge protected outlets. Detachable 2-meter OPUS Power Cord included. 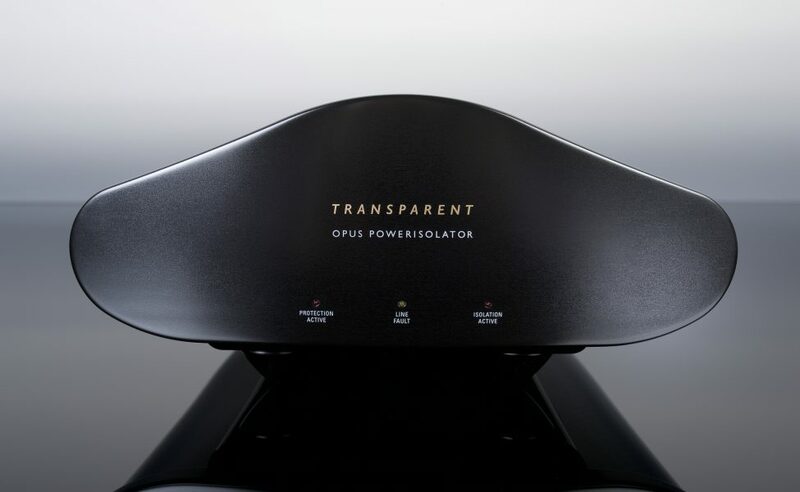 OPUS POWER CORD OPUS PowerIsolator ships with Transparent’s flagship Generation 5 Technology Power Cord for conditioning without compromise.